Euroship Supplies was founded with a very simple objective in mind: To offer the best quality product at the lowest possible price. Two words, “quality service” define Euroship. We are delighted to inform you that Euroship Supplies ship chandlers are based in Gibraltar and Spain. We operate from the largest warehousing and cold storage facilities in the area which are totally dedicated and designed for ship supplies. Our warehouse facility is over 15,000 cubic metres with refrigeration and freezing capacity/storage for over 230 tonnes of chilled/frozen goods. Euroship aims to meet any and all our customer requirements and service excellence has become our trademark and the cornerstone of our success. The dedication, talent and loyalty of our employees and management are our most remarkable features and our greatest resource. We hope you will put these to the test. Euroship Supplies defines integrity, consistency and service. Gibraltar’s largest ship chandler, Euroship Supplies Ltd, offers the widest range of products and services to the international shipping, maritime and local industry, Government procurement contracts and Ministry of Defence. Located at the entrance to the Mediterranean from its Gibraltar head office, with 15,000 cubic meters of office and warehouse space (including freezers, chilled and bonded areas). Highly trained and knowledgeable professionals, as well as a huge purchasing power guarantee our competitiveness and your satisfaction. We serve our customers 24 hours, 365 days a year. Supplying vessels in Gibraltar, Spain, at port off-limits and North Africa. Strategically located facilities at the entrance to the Mediterranean and well established transport systems provide the highest level of logistical support and flexibility. Full warehouse facilities ensure optimum storage, handling & distribution of dry, chilled and frozen goods including full bonded facilities. Full range of highest quality fresh, chilled, frozen and dry foods to cover all sectors including ethnic requirements tailored to customers’ individual needs. Large variety and competitive pricing to satisfy the demands of all crew members. One of the largest suppliers of specialist marine, industrial and technical supplies. We aim to satisfy any and all requirements. We aim to overcome all challenges and technical difficulties our customers may face. We are ISO 9001:2015 Certified. We were assisted in the audit of ISO Certification by EMAS Consultants and are entirely committed to this process. We are also members of the International Ship Suppliers Association (ISSA) and the Gibraltar Chamber of Commerce. One of our Directors is on the board of the Chamber of Commerce and of the Port Advisory Council. The Group operates under a stringent supply chain management procedure, ensuring total quality control. STEP 1. When an Operations team member manually checks minimum stock levels on procurement. STEP 2. On Procurement, when supplier’s goods arrive at warehouse. STEP 3. Warehouse Manager final quality check after goods are unloaded and stored. STEP 4. Operations personnel when actually preparing customer’s orders. STEP 5. 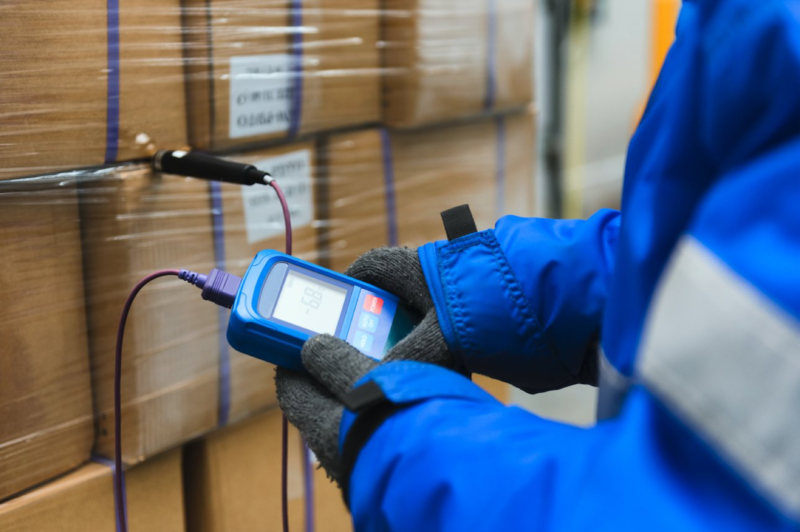 Warehouse Manager final verification procedure prior to final delivery to customers. We have a total of some 1000 cubic metres available divided into four areas each at different temperatures for different goods. All cold storage units were designed and built in 2005 and are all fitted with the latest safety mechanisms for temperature control via thermostats, overloading and energy conservation control systems. The fridges can be set at varying temperatures and are all fitted with the ‘Keep Fresh’ technology. This system absorbs gases released by produce thereby maintaining and preserving the quality and sustainability/shelf life of goods stored. We are currently looking into acquiring premises in North Africa to service the African continent. We have 500m2 warehousing capacity in Spain to complement our Gibraltar facilities. The group currently employs approx. 50 people. Please click here to download a pdf of the group organigram. Mr Desoisa is a highly respected businessman in Gibraltar who is renowned for his innovative and entrepreneurial abilities. As border restrictions were introduced by the Spanish Government in the late 1960s so did Gibraltar’s ability to pass fresh produce through the land frontier which led to Mr Desoisa and the Gibmaroc Group pioneering fresh produce directly from Morocco providing a lifeline to the Gibraltarian population. Mr Desoisa is unquestionably Gibraltar’s most experienced wholesaler of fresh produce. George is the Group’s Managing Director and has overall responsibilities for the activities of the Group. George has been born into the business and had a number of years of training from his father, the current Chairman of the Group. George is energetic and active and is heading the next phase of the expansion of the Group and introducing new levels of quality control and customer focus within the organisation. George, a business studies graduate, is a director of the Gibraltar Chamber of Commerce (since 1999) with responsibility for the wholesale and retail trade and he is also a member of the Port Advisory Council. Chris is responsible for liaising with our large customer base and ensuring smooth delivery as well as maintaining a high standard of service with regards to all customer sales requirements. Juan Carlos has over 25 years’ experience in the supply of provisions to ships and other maritime businesses. Juan Carlos is fluent in English, Spanish and Portuguese and has an understanding of Dutch and German. He was previously a Director of Provimar Limited and was Head of their Operation in Gibraltar having previously worked with Provimar in Malaga. He has extensive knowledge of the Industry.